Most commonly, profiling information serves to aid program optimization. Profiling is achieved by instrumenting either the program source code or its binary executable form using a tool called a profiler (or code profiler). Simply put, any tool or technique you use to analyze and optimize the performance can be called a profiler. 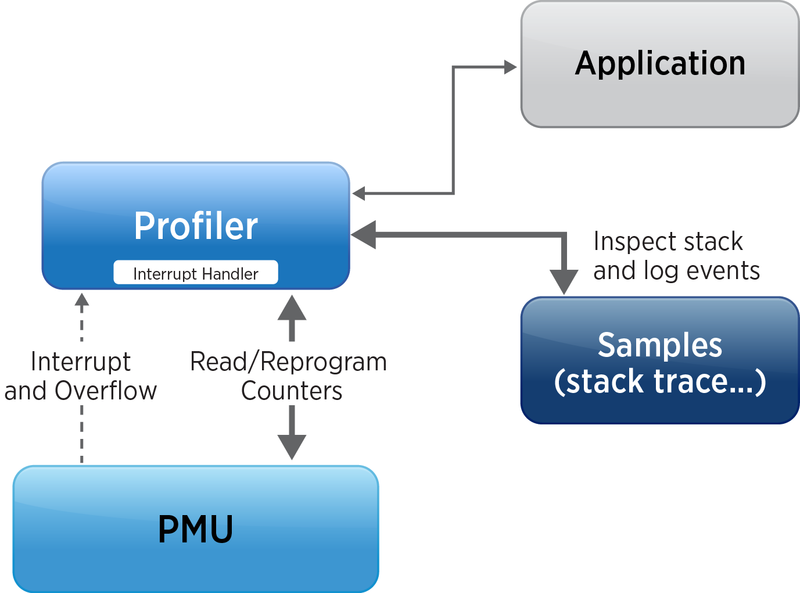 Commonly used profilers simply examine the running program regularly to see what assembly instruction is currently being executed (the program counter) and which routines called the current function (the call stack). This kind of sampling profiler can work with standard binaries, but are more useful if you have debugging symbols to work out lines of code given addresses in the program. Other profilers involve recompiling the program to insert instructions (known as instrumentation) to count how often each continuous set of instructions (basic blocks) are executed, or maybe even record the sequence in which basic blocks are executed, or record the content of variables at certain places.